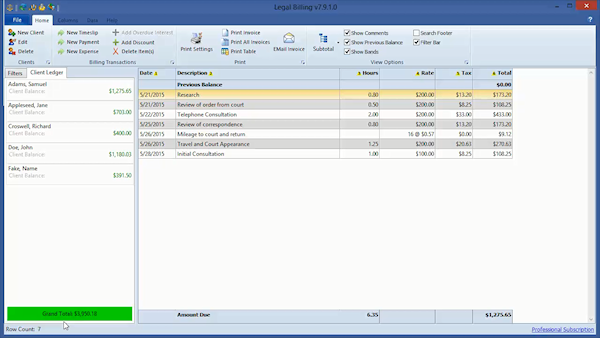 Legal Billing - simple software for your practice! 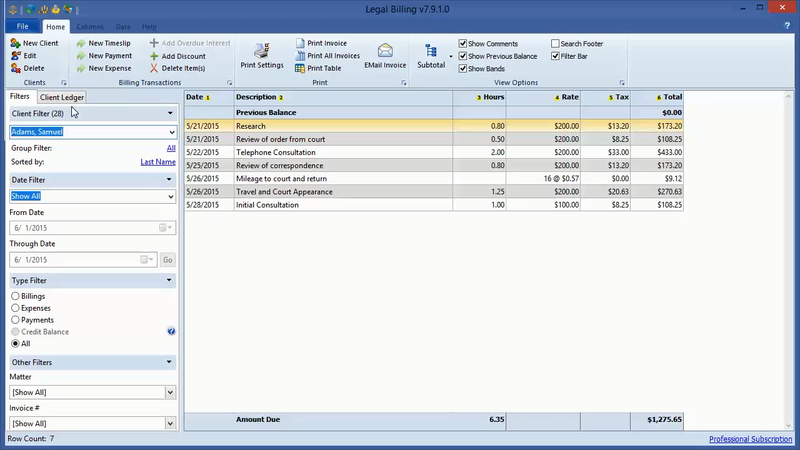 Legal Billing from Chaos Software is designed for busy lawyers and other legal professionals who expect to spend their valuable time working on billable hours rather than struggling with hard-to-use legal billing software. Why choose this billing system? We've got the best pricing of any legal billing software! It's stripped down to the basics to keep it simple. You'll be up and running quickly without days of training! It's simple to create invoices, then email them or print them! With our cloud service, you can sync your Windows computers, your users and your locations, work online, or even use our Chaos Billing app for Android or iPhone devices! We've made short and to-the-point videos to provide you a great way to see how Legal Billing works. Each is 5 minutes or less. Our best feature is the price! This Legal Billing program offers simple tools you need to enter time and expenses, print invoices and get paid for the work you performed, without a learning curve requiring extensive training! Even with all the basics in a easy legal billing package, we sell ours for much much less than anyone else can! Especially for teams, Legal Billing can be combined with our ChaosHost.com cloud service. ChaosHost.com can synchronize the local data in Legal Billing with a copy of the data hosted on our servers. ChaosHost can sync with multiple computers and with Android or iPhone devices so you can work everywhere. The data is stored on both your local devices and our servers so you can work offline or online when you need to. ChaosHost.com subscriptions also come with a five-user license for Legal Billing included so you don't have to purchase Legal Billing separately. total price for the team, not for each user! Invoicing - Email or Print them! Quickly generate ready-to-print invoices or send email invoices with a capable email client such as Chaos Intellect or Outlook. Address Book - It has a built-in address book of contacts and can work standalone OR it be combined with one of our contact management programs (Chaos Free, Time & Chaos, or Chaos Intellect) to share the contacts betweeen both applications to avoid retyping their information on statements or documents. With just a click, drag and drop, you are managing your client's case including your upcoming schedule and task reminders as well as tracking your billable time! Chaos Free has all the basics at no charge or you can use the more advanced Time & Chaos or or Chaos Intellect, which adds a full email client so you can track all your communications with your clients and even send invoices by email. Try it today! Fully functional, no obligation! 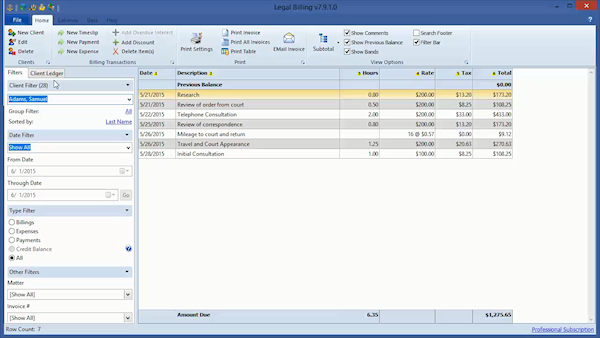 Legal Billing lets anyone install the Windows Desktop version to sample for a FREE trial period of 21 days. This is a fully functional version, so you will have a true idea of how Legal Billing will work for you. Click on one for a larger view!